FREE One Week Keto Meal Plan for Beginners - An easy weight loss plan! Looking for a FREE and EASY way to start the keto diet? This free one week keto meal plan is geared toward beginners who want to save time with a plan you can follow easily. Follow this healthy keto diet plan for 7 days to lose weight and feel great! This ketogenic eating plan is also dairy free, gluten free, and low calorie to speed up your weight loss! If you’re wondering “how do I start a ketogenic diet for free?” you’ve come to the right place! When I first started the keto diet, I felt really overwhelmed and confused! I was wondering “how do I get started on keto?” There were so many rules: macros to count, foods to avoid, ketones to measure. It was just too much– I almost quit before I even started my first week! I wished there had been a free keto meal plan I could have followed for fast weight loss without the confusion, but I couldn’t find anything that suited my needs. 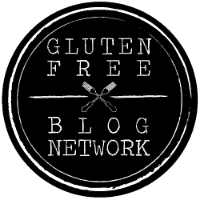 I was looking for a clean, dairy free approach to keto with recipes made from real food. I couldn’t find anything, so I created my very own 7 day keto diet menu! Today, I’m sharing that keto diet plan with you, so that you can have a fast and easy transition into keto without any frustration! This is an easy to follow one week ketogenic diet meal plan to lose weight and feel great! This keto meal plan is completely free and super easy to follow! It includes some of my favorite real food keto recipes and your macros are already calculated for you (and calories too!) In order to facilitate fast weight loss, this keto diet meal plan is restricted to 1200-1500 calories per day. Fat is very satisfying and you’ll be surprised by how full you’ll feel on just 1200 calories. You can expect to lose up to 10 pounds or more on this one week keto diet plan. Each day on this keto diet menu includes a breakfast, lunch, dinner, and snack/dessert recipe. The recipes are delicious and super easy to make! This meal plan follows the “classic keto” guidelines of approximately 75 % fat, 20 % protein, and 5 % net carbs a day. You should eat one serving of the recipe, unless otherwise noted. If you’re still hungry when following this keto meal plan, you can add extra fat (i.e. coconut oil, MCT oil, fat bombs, etc.) You can also add extra fat by dipping your food in mayonnaise– just make sure you watch your calories and don’t go too overboard. Another option is to double up on the servings (i.e. eat 2 servings of a recipe instead of one), which will keep your macros the same but double your calorie consumption. Each breakfast, lunch, and dinner in this keto diet plan is a new recipe. I purposefully chose not to repeat recipes because I wanted to give you as many different options are possible throughout the week. If you don’t feel like cooking new recipes each day, you can repeat days using your leftovers (i.e. follow the day one menu on both Monday and Tuesday, so you don’t have to cook new recipes). Remember, this is a CLEAN keto diet plan. This means that all the recipes are dairy free and use healthy, whole food ingredients. Many of the recipes are paleo, as well. This leads to faster weight loss and better results overall. Plus, it’s healthier for you! Other than salads and soups, most of these recipes freeze very well. When I was on the ketogenic diet, I would cook several recipes over the weekend and freeze them to eat during the week. It made the keto diet super easy and saved a ton of time. Some of the snack recipes are used more than once during the week, so you don’t have to make new snacks everyday. Even though I am no longer on the keto diet myself, I learned a ton from the many months I was on it and think it’s a great diet/lifestyle for anyone who wants to lose weight and get healthy quickly. The awesome thing about keto is that you don’t have to starve yourself because when you eat the right foods to get into ketosis your body works FOR you to burn off excess fat. This healthy, low carb approach to eating works as both a short-term diet and a lifestyle change, but it all starts with this easy one week keto meal plan for beginners! Follow this plan for 7 days to see great results! Let’s get started! P.S. I recommend measuring your ketones with this ketone meter here. It’s the quickest and most accurate way to measure whether or not you’re in ketosis! You can also try measuring with these ketone strips here for a cheaper, but less accurate option. Disclaimer: Please be aware that I am not a doctor or nutritionist. I am not qualified to diagnose, treat, prevent, or cure any disease or condition. You should always consult a qualified health professional before starting a new diet. This post is for informational purposes only and does not guarantee results. See full disclaimer here. Check out my favorite keto resources below! I hope you enjoyed this easy ketogenic meal plan! This one week plan was designed to be an easy way for you to start the keto diet without having to count macros or worry about what foods to eat. Now that you’ve successfully been through your first week on keto and seen awesome results, you can move forward on the rest of your keto journey with confidence! Remember, you can always return to this menu plan in the future whenever you need a little boost.  Congratulations on making this great step toward better health and well-being. How was your first week on keto? Did you find this easy to follow one week ketogenic diet meal plan helpful? Comment below and share with us!